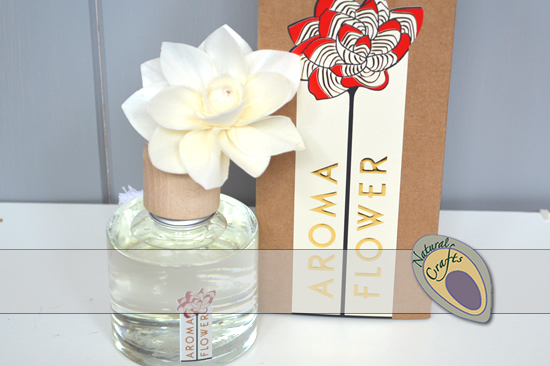 Our Aroma flower diffusers, are just like normal diffusers that use a pretty flower instead of a reed sticks. They are designed so that the reed flower takes in the fragrance and dissipates scent out into your house. Due to the flower diffuser it makes them an idea display piece, scenting your home can last up to 3mths (dependant on room temp). Available in our very own developed fragrances which include: Vetiver Woods, Sandalwood, Spiced Champa, Moulin Rouge, Spring Meadow and Sweet Mimosa.